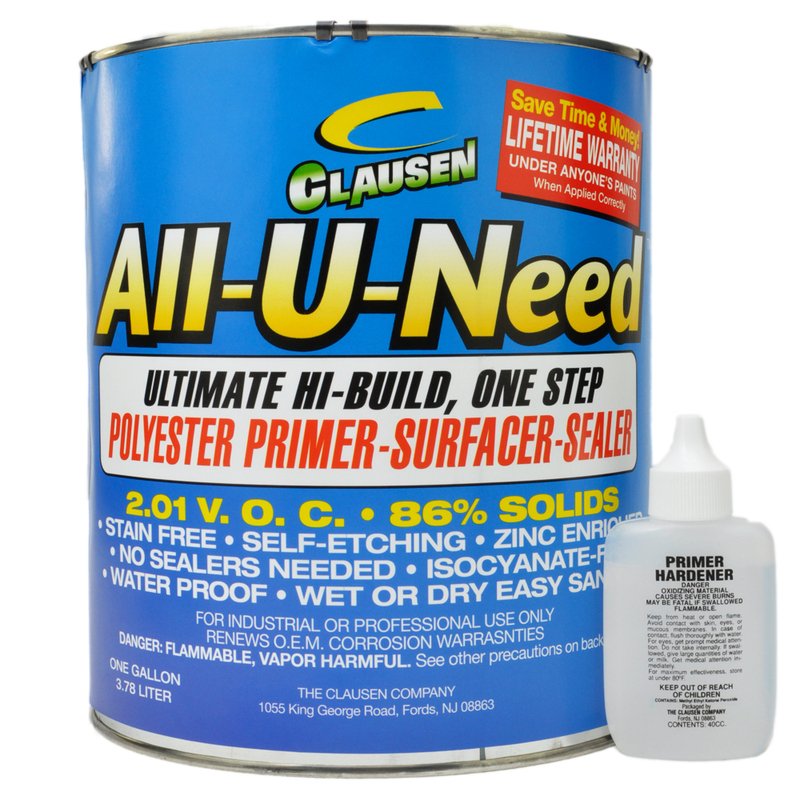 Ultimate high build polyester primer, surfacer, sealer. 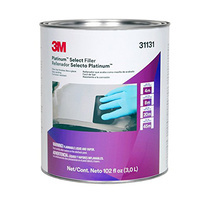 - Replaces metal preparation, etching primer, primer surfacer and sealer. 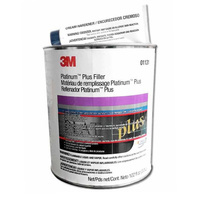 - Contains 86% solids with no shrinkage. - No sanding prior to recoating. - No sanding after long periods of air dry. - Sands the same after two years. 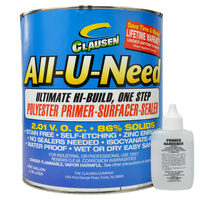 - Waterproof and solvent proof. 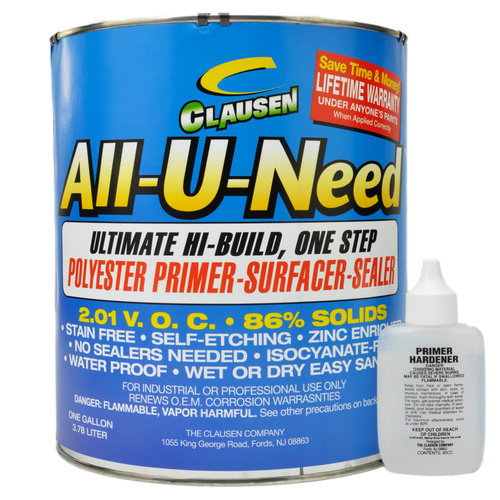 - Compatible with all paints and primers. - Comes with liquid hardener.